Surf the world’s longest wave and discover its deepest canyons, or fly over the Nazca Lines and trek the Inca Trail. 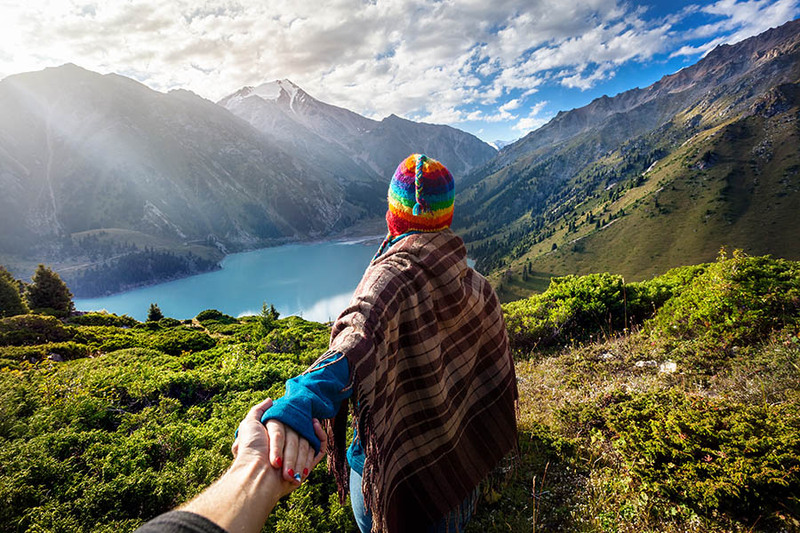 Adventure into the Amazon and learn the legends of Lake Titicaca, hike the High Andes and explore the Sacred Valley, or sink pisco sours in Lima and run your fingers along Cusco’s Inca walls. With a head-spinning array of ancient cities, Inca ruins and natural wonders, it’s not easy deciding which slice of Peru to experience. Peru’s sprawling capital is not to be missed. From hillside slums to swanky seaside enclaves, a mosaic of different districts make up this megacity, where you can clink glasses in a quiet waterside bar or dive headfirst into the hectic streets. Explore the colonial heart and look up to the ornate balconies, visit the oldest house in the Americas and tour the charming churches. Lima has a reputation for fantastic cuisine, so work your way through the ceviche and spicy mussels, or try goat feasts and duck dishes, washing it down with plenty of pisco sours. The museums and markets are excellent too, so get clued-up on Peruvian history and culture, then spend your nuevos soles (Peruvian currency) on woollen rugs, gemstones and crafts. Take some time out to surf the city breaks or jog through the Pacific Ocean parks. 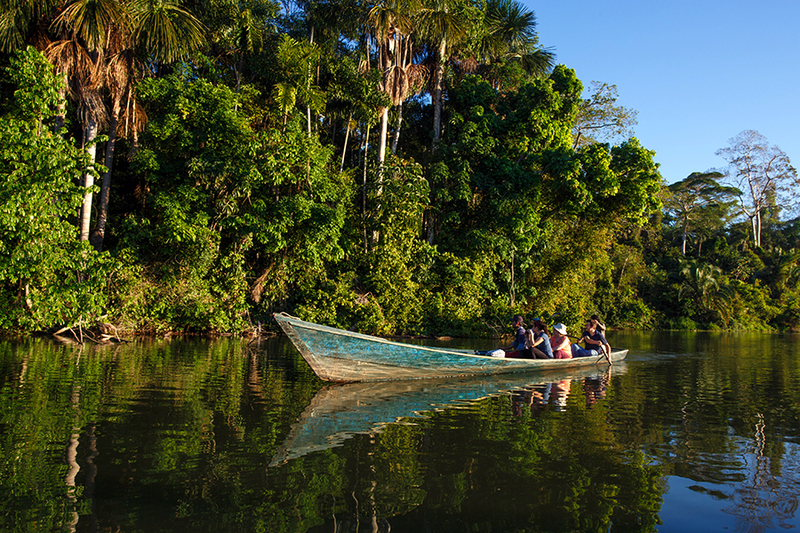 More than half of Peru is drenched in jungle, making it ripe for intrepid Amazon adventures. To explore the southern section, head to the town of Puerto Maldonado, where mud streets and mototaxis skirt the rainforest. Join a multi-day tour through the forests of Madre de Dios and float along the waterways in a canoe. Venture deeper and discover the remote reaches of Manu National Park, home to jaguar and giant river otter. A terrific place for off-the-beaten-track adventures, no roads lead to the northern city of Iquitos, so the only access is via plane or boat. String up your hammock and drift down the Amazon, sleeping on-board and watching the water for piranha and pink river dolphin. Trek into the remote Pacaya Samiria Reserve, staying in a luxury lodge or camping beneath the canopy and listening to anacondas slither through the undergrowth. High in the Andes, the ancient city of Cusco was once capital of the Inca Empire. Today it’s a centre of Quechua culture, a thriving tourist hub and the oldest inhabited city in South America. 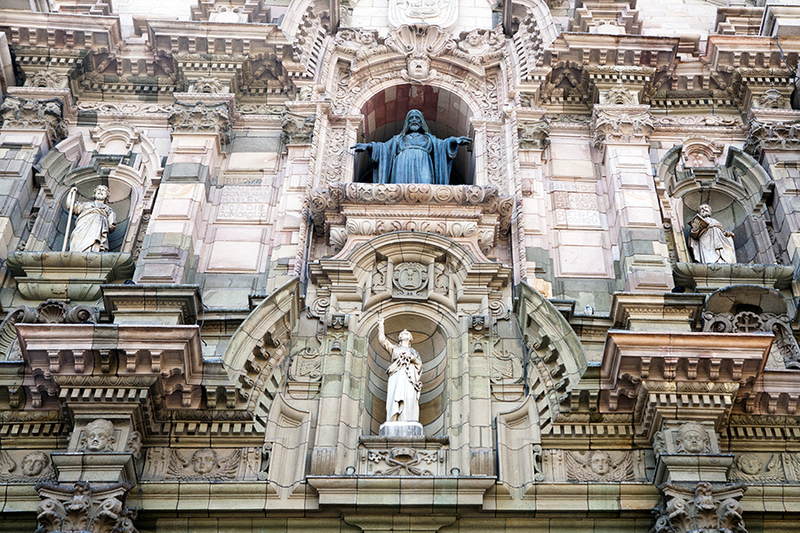 Tour the Inca-built walls and colonial buildings, enter the ancient churches and join the locals in San Pedro Market. 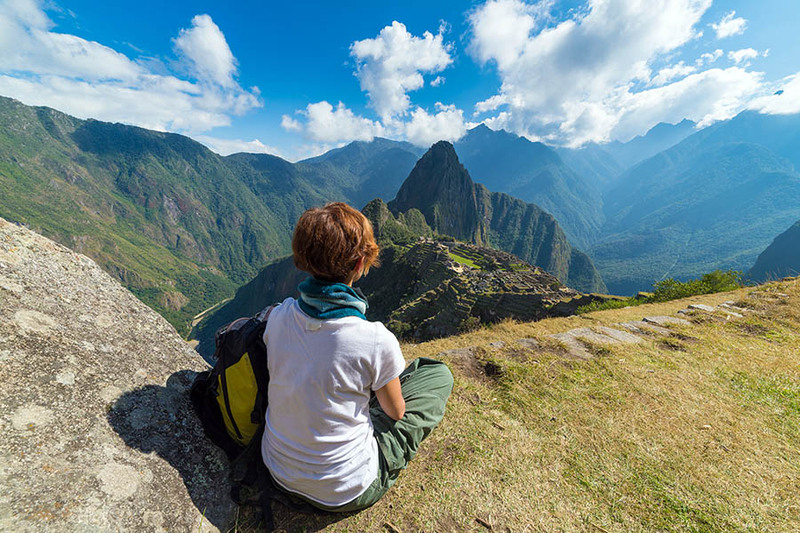 Take day trips out and explore the Sacred Valley. Discover Inca remains, go hiking through the highlands or try rafting and rock climbing. To reach the mighty ruins of Machu Picchu, you could hop on the train or follow in ancient footsteps and trek the Inca Trail. When you arrive, see the ancient city emerging at sunrise or glowing at sunset – Peru’s most visited landmark, the tourist hoards are inevitable but you simply can’t miss it. Overlooked by the snow-capped Andes, the icy blue waters of Lake Titicaca straddle the border between Peru and Bolivia. Traditional farming settlements line its Peruvian shores, where local women tend to their llamas wearing bowler hats. Head to Puno, the main lakeside settlement, and climb to the oversized condor statue for great views across the water. Visit this smoky city during one of its fantastic fiestas, or experience colourful nightlife and rich folklore throughout the year. 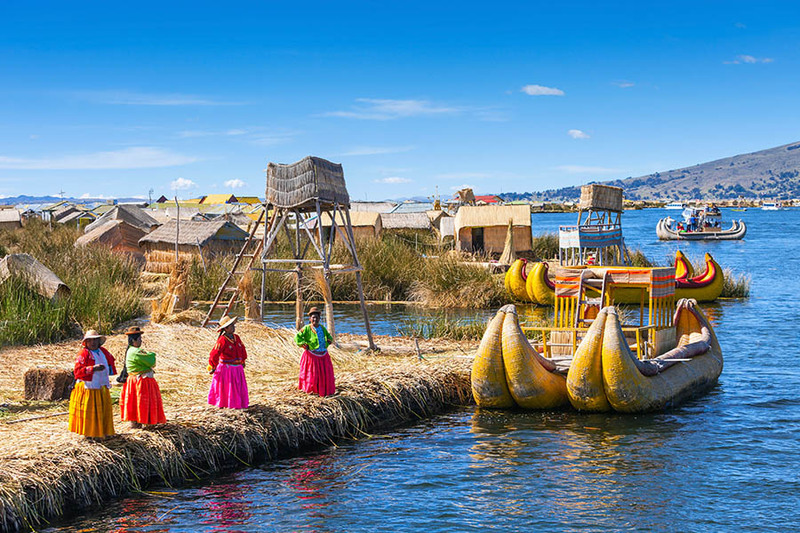 Sail from Puno port to the Uros islands and stay with a local family. Floating atop Titicaca’s huge, high expanse of water, everything from the boats and houses to the islands themselves are made of totora reeds. Back at Puno, make a daytrip to the Sillustani stone burial towers and see wild guinea pigs near Lake Umayo. Surf bum, culture vulture or avid explorer, Peru’s northern beaches won’t disappoint. Whether you’re ‘hanging ten’ on a surfboard or soaking up the scene from a beach towel, surf’s-up all along the coast, from the perfect Peruvian pipeline at Cabo Blanco to the world’s longest left-hand wave at Chicama. Off-the waves, there’s horse-riding and deep sea fishing to get involved in, while Mancora is the best place to party. For astounding archaeology, make a base in the colonial town of Trujillo and discover the pre-Inca tomb at Sipan and the Temples of the Moon and Sun at Chan Chan – the largest pre-Colombian city in South America. 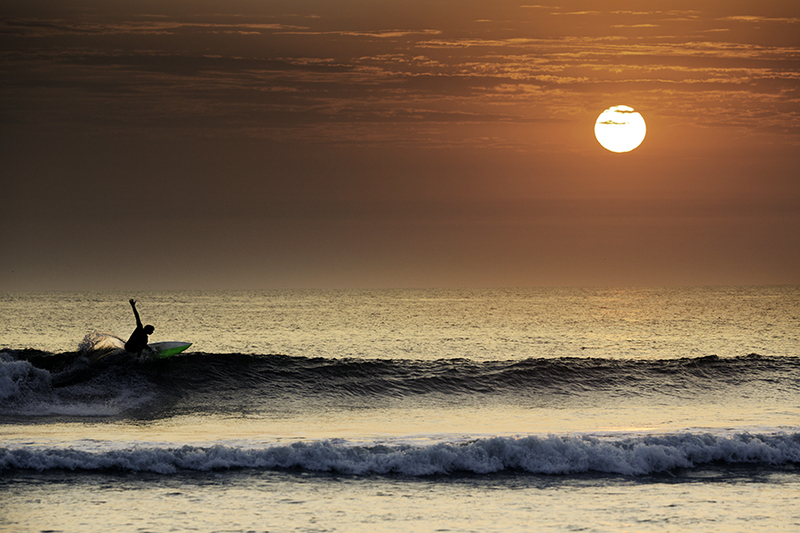 Nearby, visit the laidback village of Huanchaco where fishermen surf the waves in one-man boats. As you’re leaving, take a bus ride to the mountain town of Cajamarca and discover ruined citadels and isolated villages scattered in the highlands. 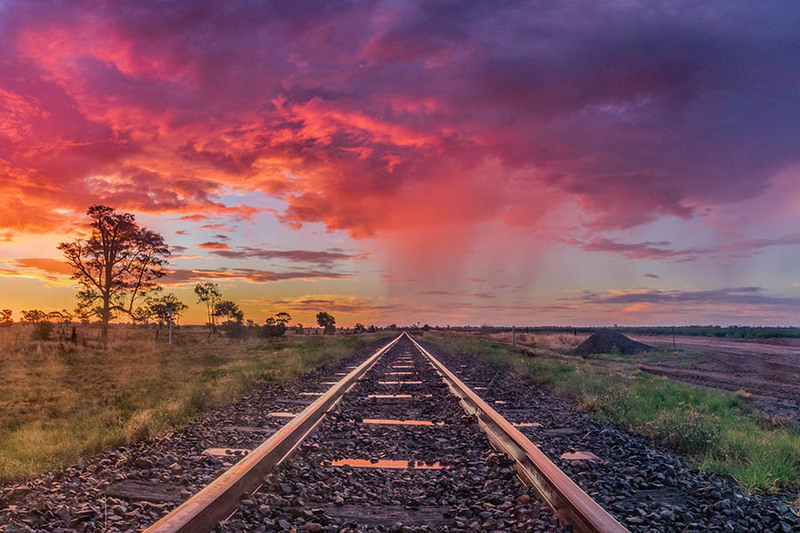 Follow the Gringo Trail and venture south of Lima through southern Peru. 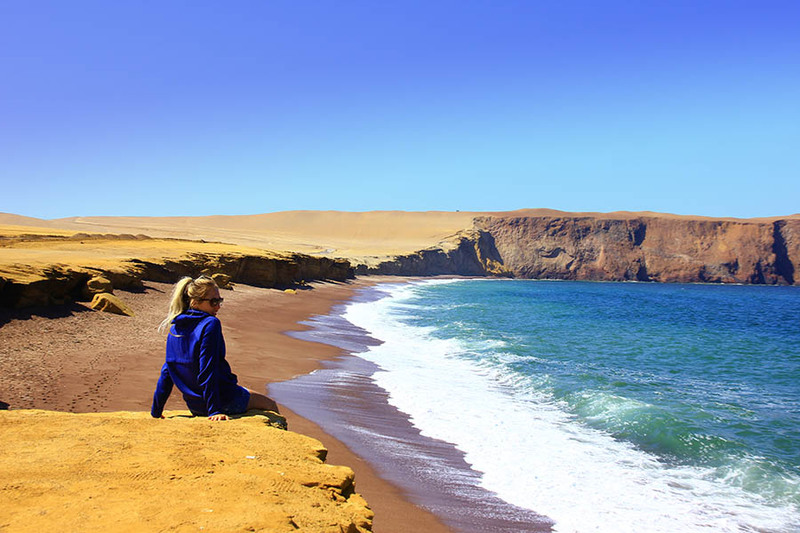 Discover reefs, desert and ancient culture in Paracas National Reserve, or sail to the penguins and pelicans of the Ballestas Islands. Stop off in Ica to tour the wineries and drink pisco sours, then head to the Huacachina oasis and go sand-boarding down the dunes. 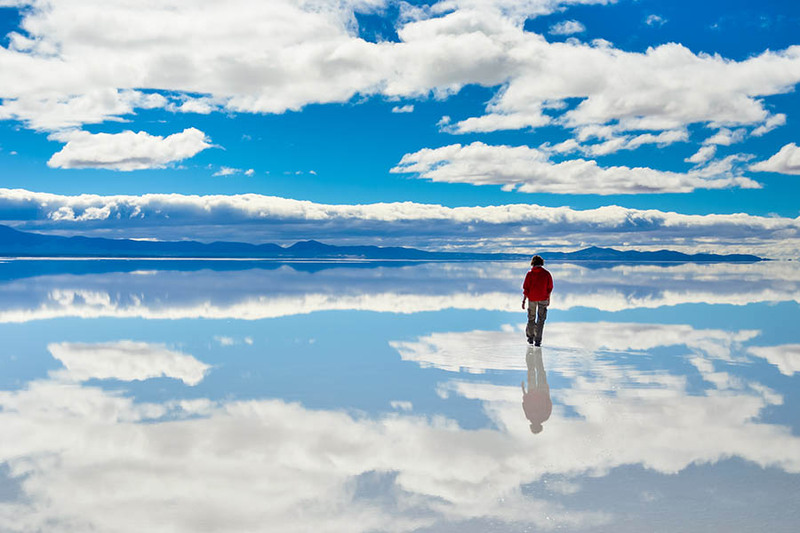 Two hours south lie the mysterious Nasca Lines – fly over to see razor-straight lines and giant animal drawings etched in the desert floor. Continue to the colonial city of Arequipa, where volcanoes watch over the white-walled streets. Home to some of Peru’s best cuisine, try the adobo pork and fried guinea pig, cold octopus and river shrimp casseroles. 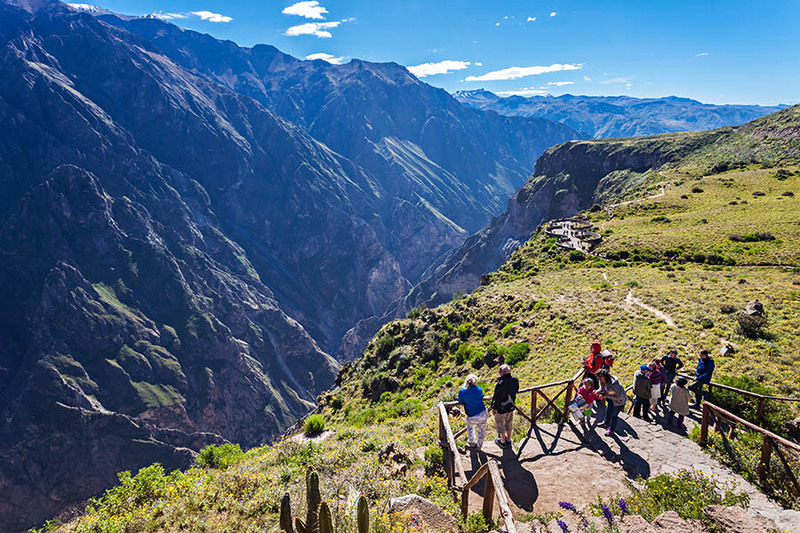 Finish with a trekking or rafting adventure in the dramatic Colca and Cotahuasi canyons, gazing up to see soaring condors.